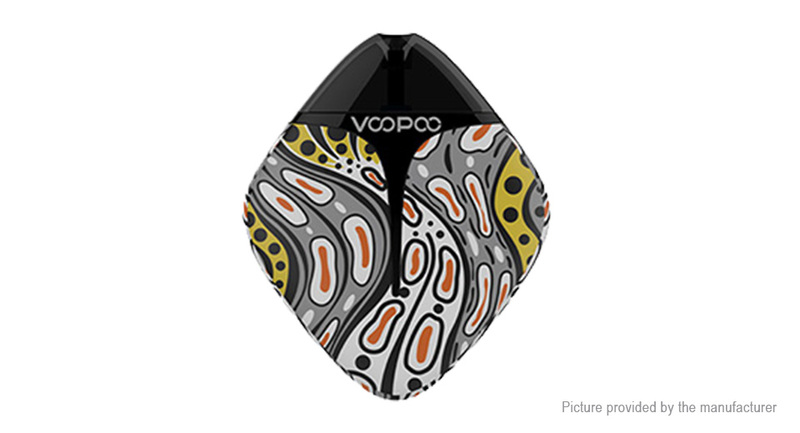 VOOPOO FINIC Fish Kit is an innovative pod system device by VOOPOO. Comes with the pocket-friendly size and cute fish appearance, the FINIC Fish Kit is easy to carry, comfortable in hand and bring you a good visual enjoyment. Powered by a built-in 350mAh battery with a replacement pod cartridge, it offers you stable and superior vaping. Besides, the FINIC Fish Pod cartridge is perfectly compatible with Nic-salts e-juice with its unique design and brings you an original and pure flavor.